You love your fur babies. They are part of your family. But not everyone feels the same way you do about your pets, or even pets in general. According to a 2017 report put out by the National Association of Realtors, pet ownership has a “moderate to major impact” when selling a home. So, if you want to get top dollar for your home, it’s important that you consider the amount you might lose with a dog, cat or other animal in residence. Pets make some people very uncomfortable. Maybe they never had pets growing up, or they simply don’t enjoy being around animals. Fear. Whether real or irrational, some people are truly scared of animals. Your pets are not their Even if they are pet owners and animal lovers, they don’t know your pets or what you allow them to do. Ask a friend or relative care for your fur babies. Board them at a kennel. If possible, take them to work with you for the day. Move out and take them with you. Cat litter boxes and doggy potty pads – keep them OUT OF SIGHT and impeccably clean. Nothing turns off buyers faster than opening the laundry room door and being greeted by the offensive scent of your cat’s business. Carpet and floor pet stains – Hire professionals to get rid of the stains, or replace any carpet, padding and flooring that has been ruined by pets. Buyers will spot them and form opinions about the whole house because of them. Pet odors and smells – You probably don’t smell it anymore because you live with them…but chances are your home has eau de doggy (or kitty). Bring in a neighbor to do a whiff test. Don’t use strong air fresheners to try to cover up the aroma because some people are allergic to those types of scents. Try enzyme cleaners such as Simple Solution or Nature’s Miracle. Remove online photos of your pets in your house. Put away food and water bowls when not in use. Vacuum religiously. Every day. Sometimes twice a day. Pack up kitty condos and any other cat paraphernalia. Remove photos of your pets from the refrigerator, walls and table tops. Pack up all cages, carriers and animal beds. 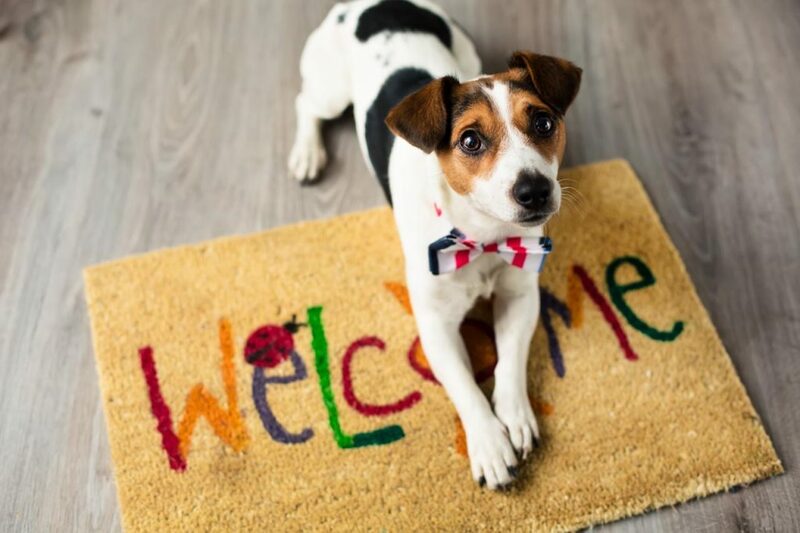 If your house is being shown and you can’t take your pet out, put them in their crate or carrier and attach a note asking that they not be disturbed. The last thing you need is a buyer sticking their hand in and getting scratched or bitten. You cannot predict how an animal react when locked up and alone. Never let your pets run loose when buyers are looking at your house! If you are planning to sell your house this summer, let professional Realtor Mike Manosky assist you in getting it listed and sold for the best possible price! Call him today at 256-508-0211!